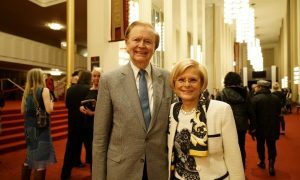 VANCOUVER, Canada—Ukrainian violinist Yuri Zaidenberg felt the colors and sounds and sheer energy of the artists wash over him as he sat in audience of Shen Yun Performing Arts, and he was filled with excitement. 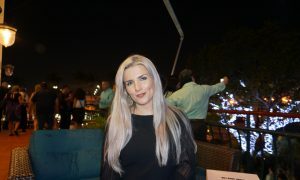 “I was so excited after the performance, a very expressive and colorful [event] with colors and [such] effect. 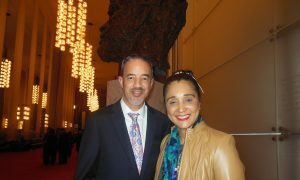 For me, it was something special,” Zaidenberg said at the Queen Elizabeth Theatre, on March 30. Zaidenberg has performed all over the world as a concert soloist, in chamber ensembles, and as concertmaster in various orchestras, and has also maintained a busy teaching career over the decades, not just of violin practice, but of music psychology and pedagogy. 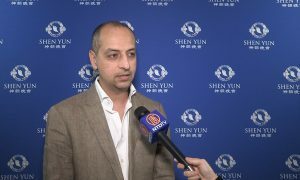 Thus the intricacies and methodology of New York-based Shen Yun’s unique orchestration were not lost on Zaidenberg, who said of course he had to pay attention to the orchestra, and whole-heartedly enjoyed the musical experience. “It’s special,” Zaidenberg said. 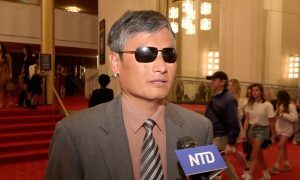 “They have a very good ensemble,” and excellent conductor, he added, pointing out the soul-stirring erhu in the otherwise classical Western symphony, and the Chinese pentatonic scale used in the orchestral arrangement. Zaidenberg said they were not a beat, not a note out of place, and the music transported him to China. 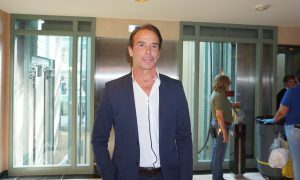 The energy of the performance, of all the artists involved, left such an impression on Zaidenberg that he said the performance left him rejuvenated. 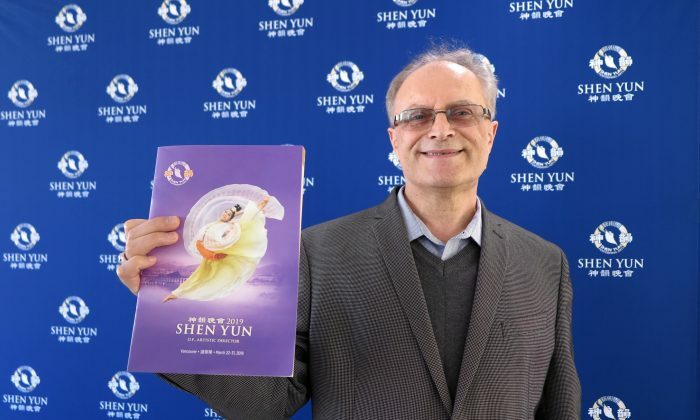 Shen Yun’s mission is to revive 5,000 years of China’s divinely inspired civilization through the arts, and Zaidenberg felt they succeeded. He pointed out many aspects of the production he felt were unique. “I was impressed very much their energy which is coming from the stage, with a lot of colorful things in connection with [the backdrop], it’s like they coming from [a] movie to the stage,” Zaidenberg said. 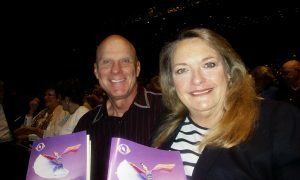 Shen Yun’s backdrop is digitally animated, allowing performers to seemingly step from stage to screen, from heaven to earth and back. It was unlike anything Zaidenberg said he had ever seen before. Zaidenberg also pointed out that the production required tremendous coordination between many people, with 20 pieces of original music, scores of costumes that changed with every dance and story, the settings drawn for every dance, and so on. He marveled at the choreography of the nearly-20 dance vignettes, and the artistry of every aspect of the production. “This changing from one stage to another stage gives a sense of a kaleidoscope, nonstop, your attention just pulling one to another,” he said.